The MTD6505 device is a 3-phase full-wave sensorless driver for brushless DC (BLDC) motors. It features 180° sinusoidal drive, high torque output and silent drive. With the adaptive features, parameters and wide range of power-supplies (2V to 5.5V), the MTD6505 is intended to cover a broad range of motor characteristics, while requiring minimum external components. Speed control can be achieved through either power supply modulation (PSM) or pulse-width modulation (PWM). The compact packaging and the minimal bill-of-material make the MTD6505 device extremely cost efficient in fan applications. For example, the CPU cooling fans in notebook computers require designs that provide low acoustic noise, low mechanical vibration, and are highly efficient. The frequency generator (FG) output enables precision speed control in closed-loop applications. The MTD6505 device includes Lockup Protection mode to turn off the output current when the motor is in a lock condition, with an automatic recovery feature to restart the fan when the lock condition is removed. Motor overcurrent limitation and thermal shutdown protection are included for safety enhanced operations. Microchip has added to its range of sinusoidal, sensorless, 3-phase BLDC fan motor drivers with its first standalone, resistor-programmable driver. The driver enables the selection of multiple back-EMF coefficient ranges, a feature which allows engineers to design for a variety of 3-phase BLDC fan characteristics with a single device. The MTD6505 device’s 180-degree sinusoidal drive is designed to support energy efficiency, and with low acoustic noise and mechanical vibration. 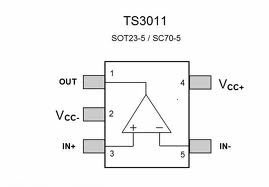 Being a sensorless driver has no need for an external Hall-Effect sensor. On-chip protection features include thermal shutdown, over-current limiting and lock-up protection. It comes in a 3×3 mm UDFN package with a 0.5 mm thickness.